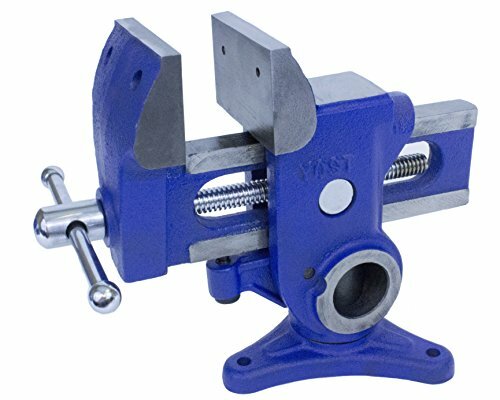 The Yost MAV-3 is a 3” Multi-Angle Bench Vise. This unique vise swivels a full 360-degrees and then locks in place, at any angle, when the jaw is tightened. The MAV-3 is able to clamp in both upright and horizontal positions. The Precision casting process along with accurate machining this vise a joy to work with. This vise is designed with luthiers, woodcarvers and gunsmiths in mind.